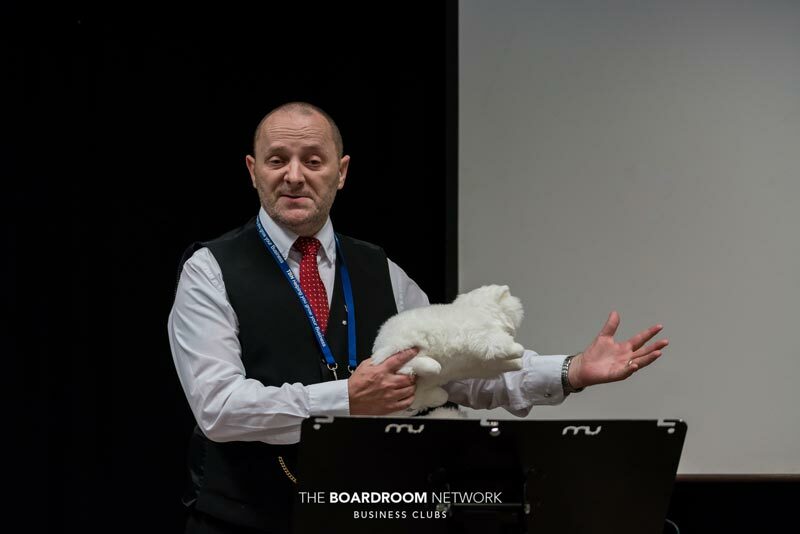 The high energy we’ve come to expect from our meetings was once again in evidence at the November Solent event. Our table ambassadors did an outstanding job of ensuring high engagement around the tables, and Jay kept us moving at an exciting pace, keeping a keen eye on the clock. 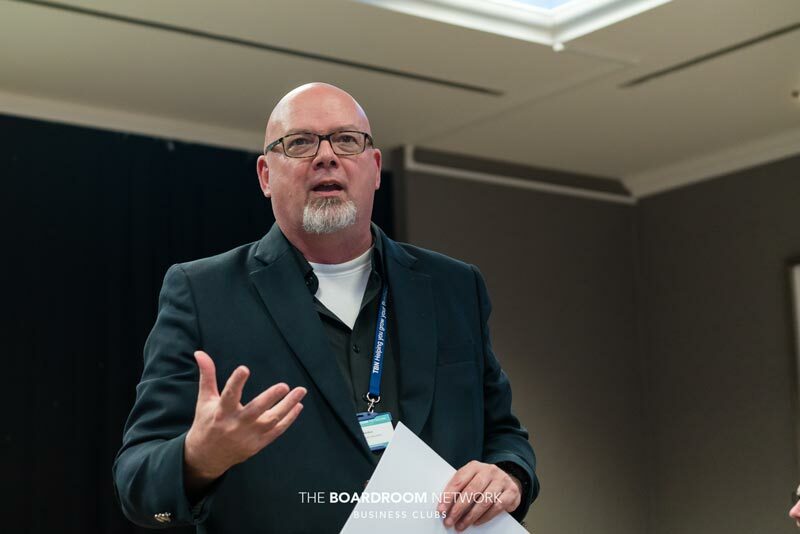 Steve Dunn (Dunstar Creative) launched our presenter slots with an educational presentation on, “How Can I Sell More Through Good Design?” Steve’s impressive track record established his credibility as an authority on the subject – a Designer since graduating in 1997. The launch of the business came at a difficult time for Steve and his family, but he seized the opportunity to fulfil his dream – to have his own design company. Steve’s expertise includes branding, print design, website design, marketing design, and vehicle wraps – many for household names that we were all familiar with. Cyril the Squirrel was rather fun! The foundation of good design is a strong brand. A brand is far more than a logo – incorporating each company’s values and objectives. Steve encouraged us to pursue a recognisable brand as a worthwhile goal. He illustrated this by showing partial images of brands – showing us how easy it was for our brains to fill in the gap. Personally, this made me think more about developing a logo alongside the words we often use to promote our message. The key is that our website and print designs should convey the personality characteristics of our brand. Are we fun, engaging and modern? Like Puma, our site should broadcast this message. Are we safe and reliable? Good design can reinforce a safe and reliable message. Other designs, like that of Chrome’s home page, showed us that design can be used to focus us visually on a call to action – such as click that button! An alternative example is Joe Brown’s site – distinctive through its great product photography – drawing potential customers deeper in to check out the items they like the look of. What are the conclusions? “Great Design is Simple!” Uncluttered pages get a better response. Cluttered pages lead to a high bounce rate – where visitors disengage and move elsewhere. “Great Design is Easy to Read!” The use of white space, spacing, and the right font all help with the clarity and the direction of attention. Consistency across all channels is also a key to selling more through good design. Whether in print or on Social Media, through email marketing, or through your responsive website – the same look, feel, and messaging works wonders. Capturing an audience’s attention is an art, so use the art of good design to capture them, keep them, and convince them to take the action you desire them to. Moving us through who MTD applies to, what we must do, and mentioning the danger of penalties for non-compliance, Zara conveyed the urgency and importance of taking MTD seriously. At this stage, MTD is of most relevance to those of us who are both VAT Registered and with a taxable turnover above £85,000. For this group, it’s coming soon: April 2019! However, MTD will affect Income Tax and Corporation Tax for businesses by April 2020. The long-term plan is to digitise the Taxation process for all of us – not just businesses. Far better to embrace the requirements sooner rather than later. Below the VAT registration threshold of £85k, MTD will be optional for a while but the trend towards MTD means that the sooner we embrace the habit of keeping digitally compliant records, the better. Best to be prepared. As Zara points out, we should be monitoring our turnover cumulatively anyway. The Revenue believes keeping records digitally and filing returns in this manner will reduce errors and fraud… alongside increasing the Revenue’s revenue and smoothing both their cash flow and ours! The transition can be relatively painless. For example, if you have a preference for accounting using spreadsheets, Wilkins Kennedy have what they call ‘bridging software’ to make API links to HMRC. If your current spreadsheets are not MTD compatible, Wilkins Kennedy can also help you choose the best upgrade path for you. Many of us are already using accounting software that will be compliant in the latest editions. This means that even if you’re using a legacy version of programmes like Sage or Quickbooks, a simple upgrade will mean you can stay with a familiar programme and yet enjoy the benefits of become compliant. Some online accounting software (such as Xero, Sage One, QuickBooks, or Free Agent) may need an update or an upgrade but the process will be easy with the right support. Whilst HMRC will be relatively lenient at first – called a ‘soft-landing’, it is clearly better to become compliant asap. Those of us who are keeping manual records are not ready! Clear calls to action include adopting a compliant software package now, or, if we are already using software, to verify with our providers that the current programmes are complaint. Wilkins Kennedy have a dedicated Making Tax Digital Team – reachable at mtdwr@wilkinskennedy.comand it was a pleasure to have Samantha Davis with us from the Winchester office. By the way, if you’d like to become exempt, there are certain Religious reasons that may help! Some Religious groups (like the Plymouth Brethren) don’t believe in using modern technology, and this is currently respected by the Revenue! To improve the local environment for future generations. 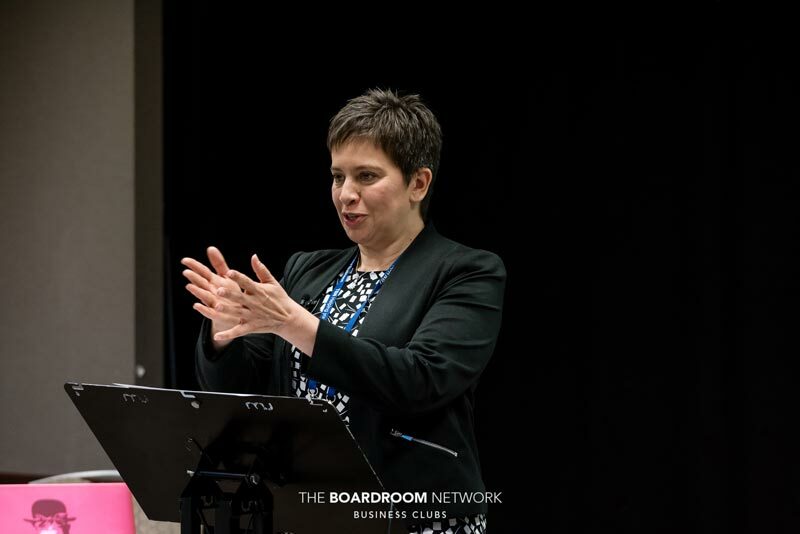 It’s been an exciting few weeks for The Boardroom Education. 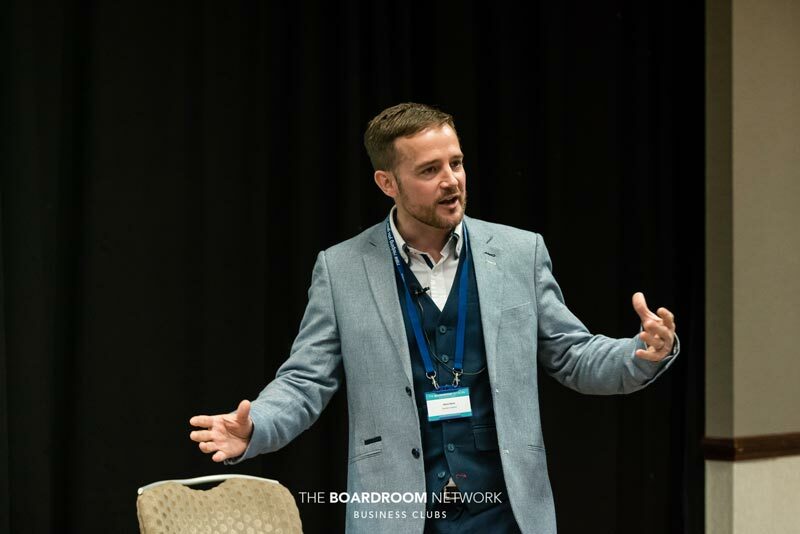 Alongside our ‘live’ LinkedIn workshop, we’ve now launched our online version, but more than this, we invited Chris Wilkinson to deliver a videoed Insight Session on HR. I had previously shared with Chris my reticence to employ people. He took the challenge and came up with not just the three common fears that people have about employing their first member of staff, but also how to effectively counter these fears. If you’d like to see the full video, you can follow this link! I asked the group if anyone else had valuable content they’d like to share in an Insight Session and am delighted to say that five members came up to me at the end of the session. This means that I am confident we’ll be delivering extra value over the next few months – another benefit for TBN Members. Would You Like to Feature in one of our Insight Sessions? I’d extend that invitation to you too. If you have three key points that we can record in a brief free video for members, this will raise your profile while delivering value for our community. Just let me know your interest, and we’ll discuss how best to share your message. 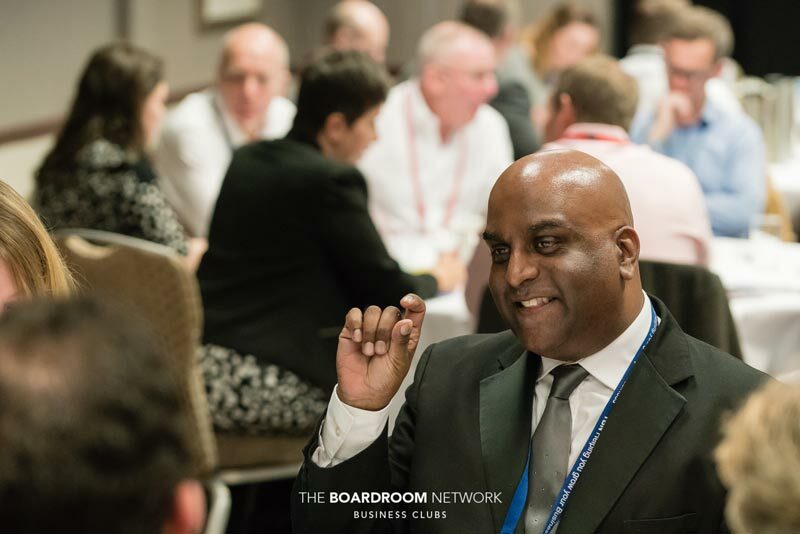 Taking a leaf out of our own Colin Bielckus’ book (The Outsourced Finance Director), The Boardroom Education can really become your own Outsourced Media Department. We know that all members have valuable messages. We have the means to help bring those messages to a wider audience. Whilst this isn’t a free service to members, the return on investment can be substantial. So, if you’d like to discuss producing permanent professional video resources to promote your brand, drop Jacqui or Lex a note and we’ll get the film rolling! Jacqui Frampton encouraged us all at the close of the meeting to support the newest TBN group for their Christmas Luncheon. 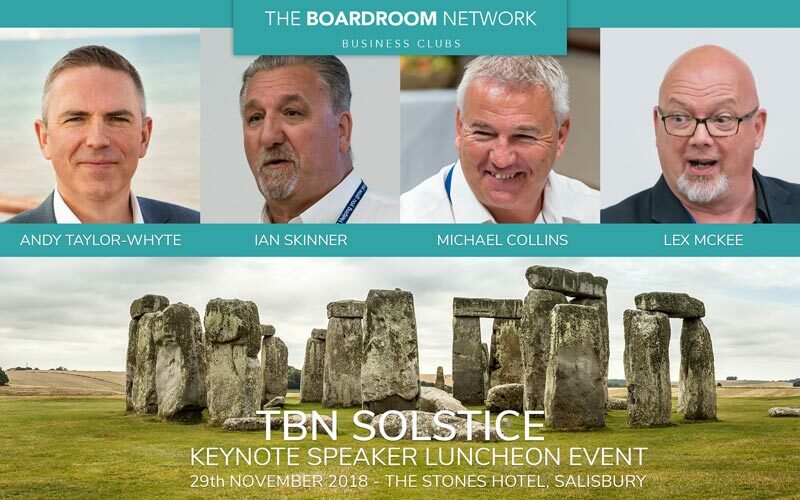 Taking place on 29thNovember at The Stones Hotel near Salisbury, the event offers a great opportunity to broaden your networking (as well as your waistband!) and to broaden your mind with keynote speakers including Andy Taylor-Whyte, Ian Skinner, Michael Collins, and I’ll even have a bash! I hope you can join us… after all, one can never have too much Turkey!